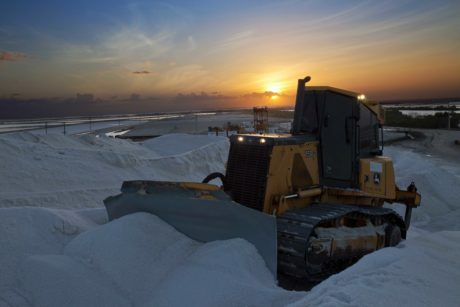 Construction and Ag equipment are being used in the salt extraction process. 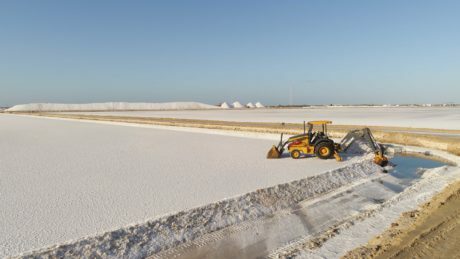 It was while travelling to and from work and looking at these salt piles that Vitor Dubiela, a Salinor engineer, got an idea. 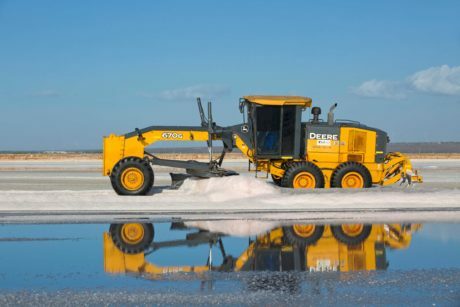 The precise transmission system of Deere’s 670G Motor Grader, which provides smooth gear and steering changes, helped deliver better control and levelling accuracy, Dubiela said. 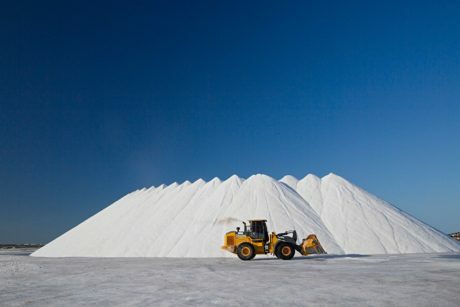 The company also took advantage of Deere technology with the remote monitoring provided by JDLink and ADVISOR.